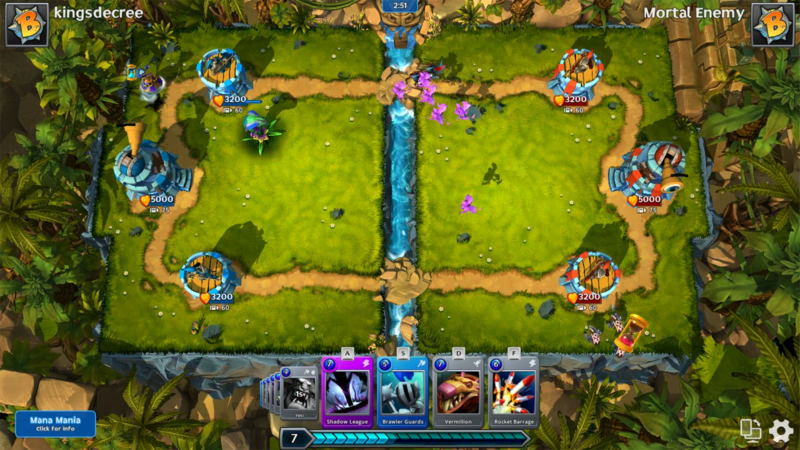 Brawl of Ages is a free-to-play collectible card game with RTS and MOBA gameplay elements. 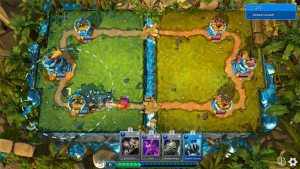 Craft a perfect deck and play your cards strategically to overcome your enemy and destroy their base, available for Windows, Linux, and OS X. 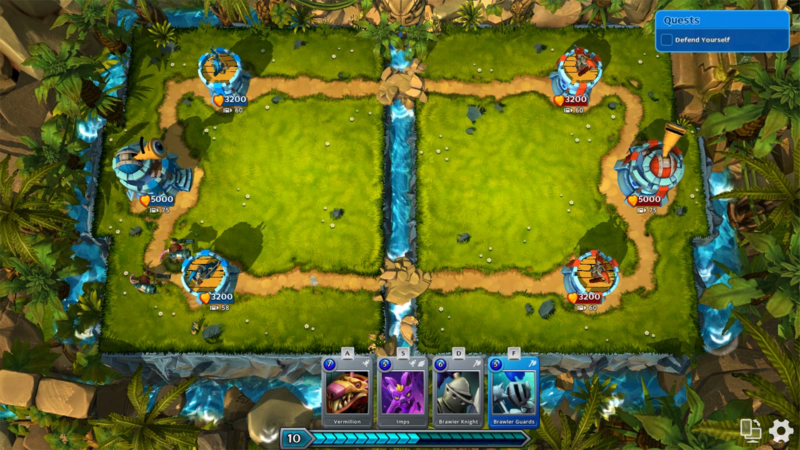 Booster Pack: Collect or create a variety of monster, spell, and turret cards. 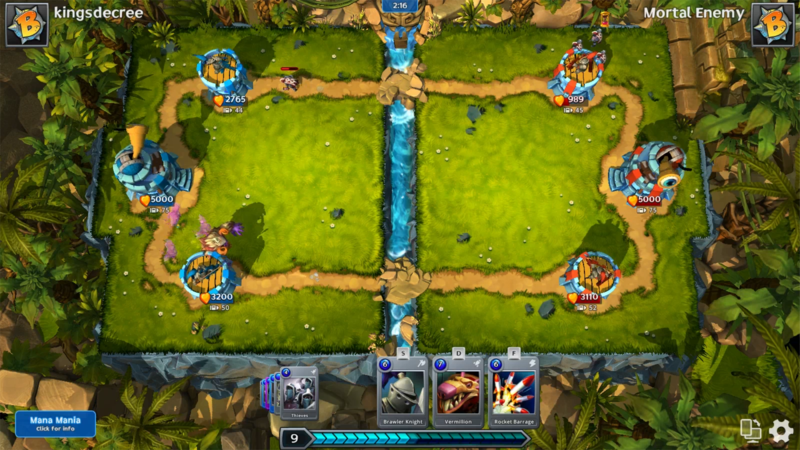 Clan Wars: Create a Brawl Club to socialize while you play! 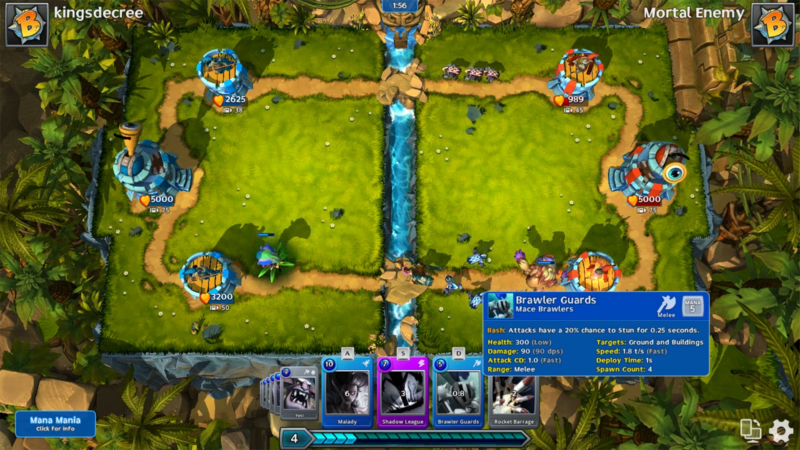 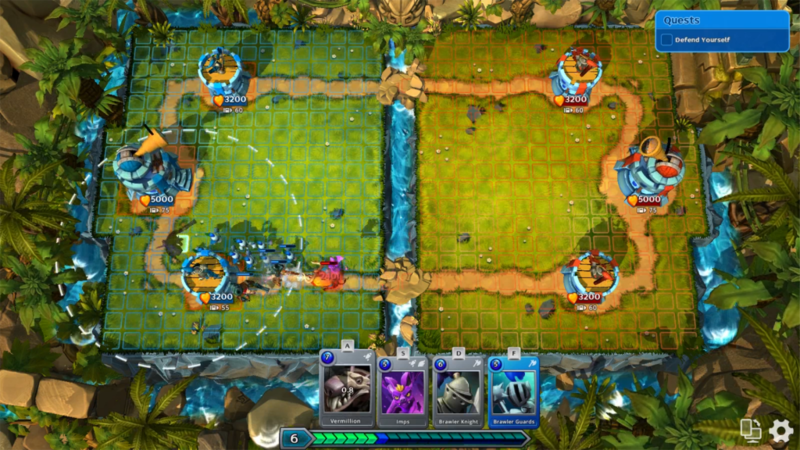 Commander: Carefully choose and place your units on the two-laned arena board. Build up a vast collection of cards and annihilate your enemy's base in Brawl of Ages, a F2P arena strategy game.